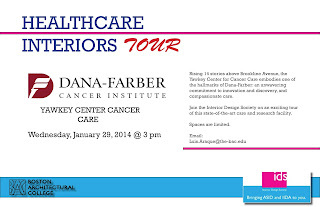 Rising 14 stories above Brookline Avenue, the Yawkey Center for Cancer Care embodies one of the hallmarks of Dana-Farber: an unwavering commitment to innovation and discovery, and compassionate care. 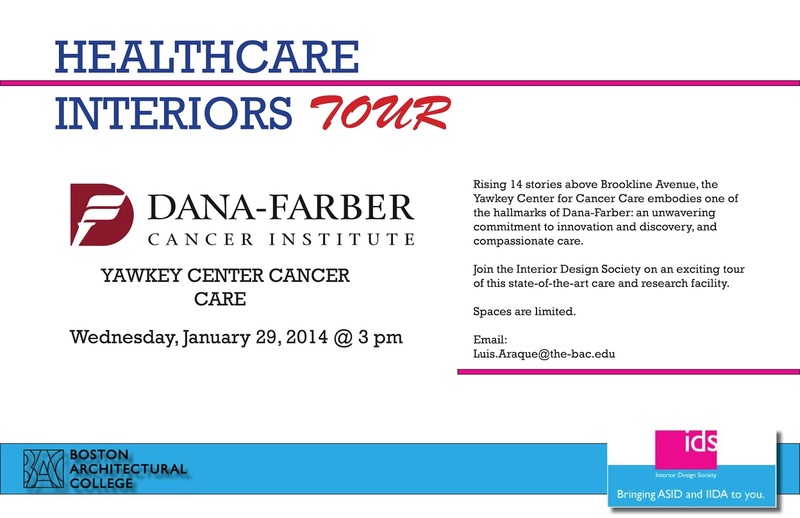 Join the Interior Design Society on an exciting tour of this state-of-the-art healthcare and research facility. Spaces are limited. RSVP to luis.araque@the-bac.edu by Friday, January 24, 2014.